Hello summer (or winter if you are in Southern hemisphere). Ripe cherries and strawberries from grandma’s garden is my first memory of June. This year I am spending this month in Vietnam. It is +37 outside. I am working on new coloring books that have been on backburner for long enough! Hopefully I will bring enough inspiration from Hong Kong next week, for the new coloring book with oriental style designs. 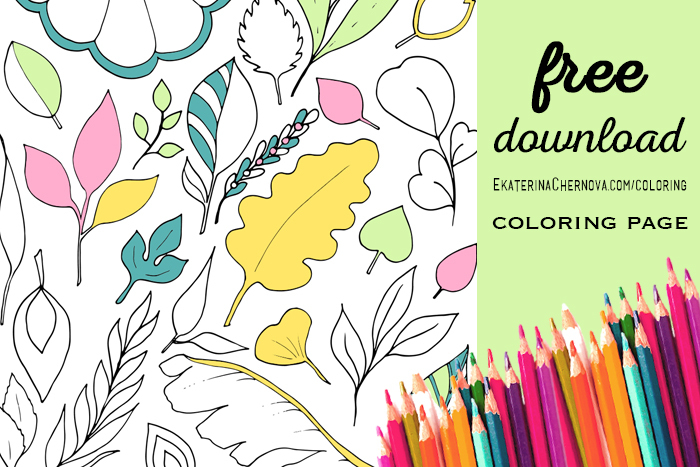 And another big event is belated release of “How To Color Like A Boss” – really hope that this book will be helpful for coloring enthusiasts. Big month. And we are almost half through 2017. 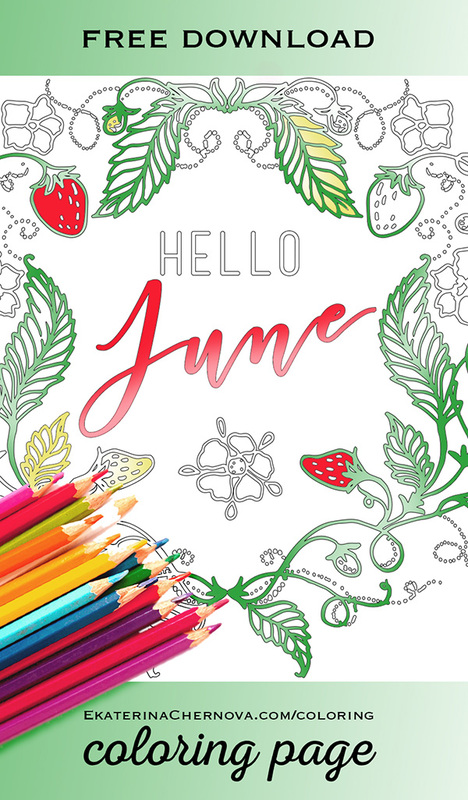 What is June for you? 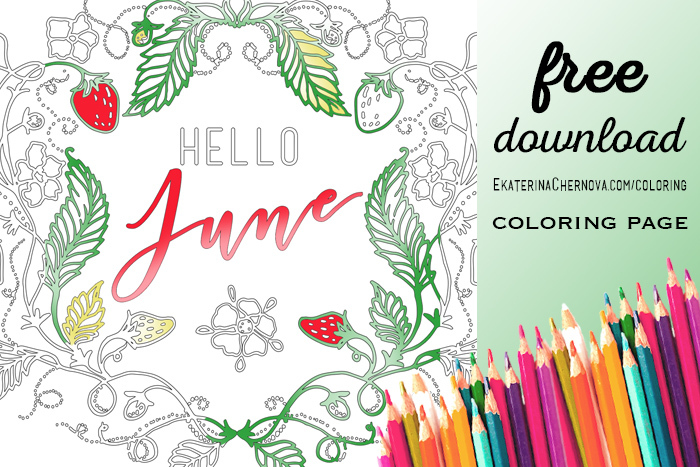 Click the button below to download June coloring page. Let other colorists discover this page ==> pin or share this post on Facebook. 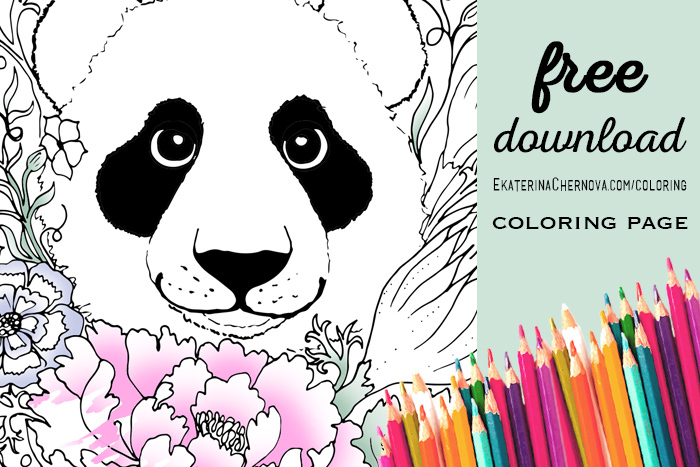 This week’s download is a panda coloring page. Surrounded by peony and other oriental flowers. 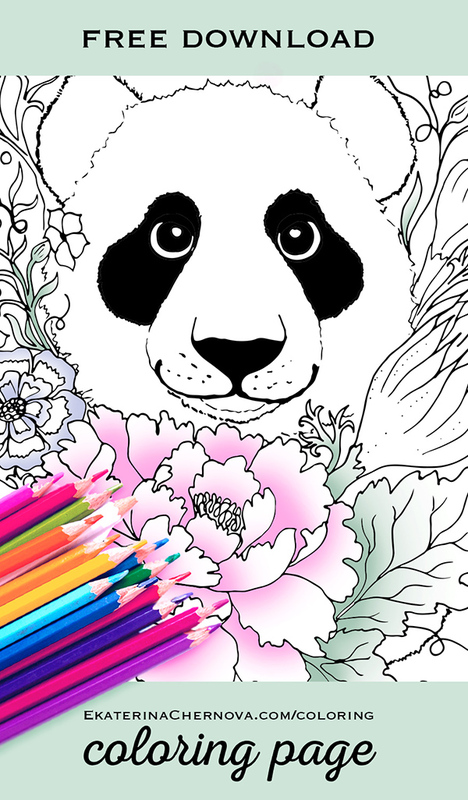 Click the button below to download panda coloring page. 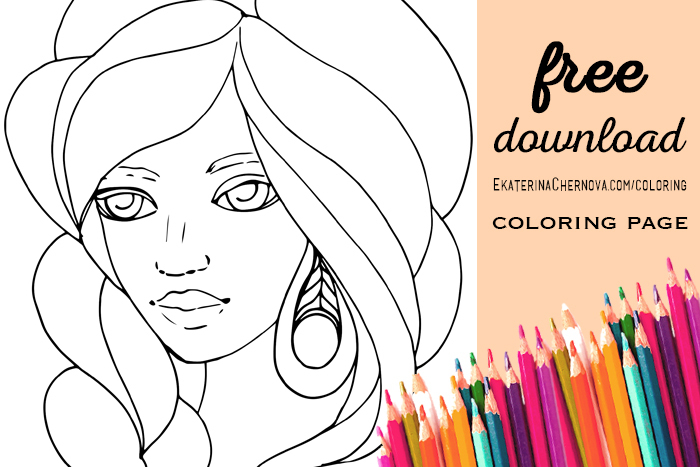 This week’s printable is a portrait coloring page. This is another practice sheet for “How To Color Like A Boss” book that is in the review process and will be available on Amazon this month. So, what are the challenges when coloring portraits? See how you render skin, is it smooth and believable enough? How the lady’s earring is colored, does it look like a metal texture with jewel in the middle? Are lady’s eyes sparkly? Is her hair realistic? What colors did you choose? If you color in this page, keep it as a “before” version. It even shows how to correctly choose a color palette according to four general temperature and contrast types. The portrait coloring page presents several challenges. 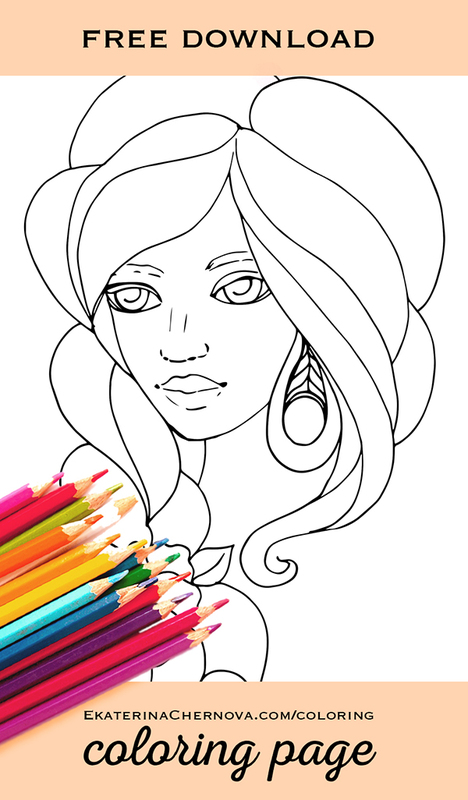 Click the button below to download portrait coloring page. 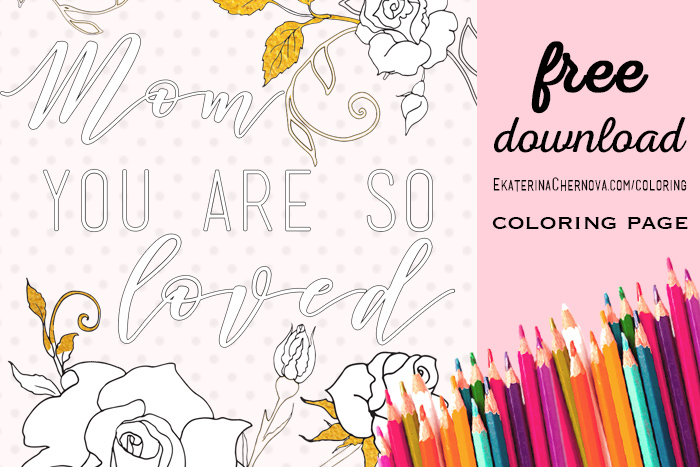 Feel free to share this post, so other colorists can also get free printables and coloring pages. Don’t forget to at least tell mom how grateful you are for the life. This week’s download is for Mother’s Day, with roses and a quote. May I suggest pink or red roses with gold foil leaves – it will look classy and stylish. You can add polka dots as well. 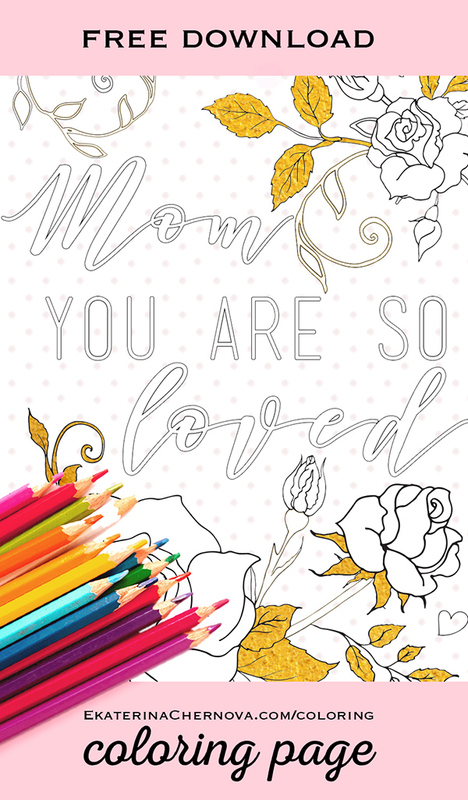 Click the button below to download Mother’s Day coloring page. 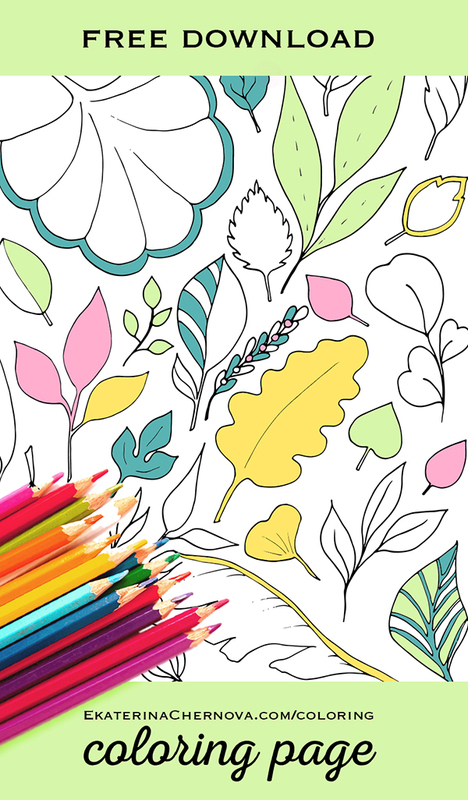 Click the button below to download leaves coloring page.